What is the age range for child prices? -A child must be 17 (if still attending school - proof may be required) or under for the child rate to apply. What is your cancellation policy? -If you cancel your booking within 24 hours of the departure, no refund will be given. This also applies if you fail to turn up for your bus. If the mountain resort closes or the road to the mountain is closed, bookings cancelled with less than 24 hours prior to departure will be refunded. All bus services are subject to road and weather conditions. Where do I collect my tickets? -Please come down to Info & Snow, 37 Shotover Street, by 7pm the evening prior to your day on the snow. If you think you will have difficulty collecting your tickets before this time, please let a member of staff know as soon as possible. Do I need to book my clothing and equipment rental in advance? -No it isn't necessary, you can book and pay for your equipment when you get to town through our shop. How do I make a booking? -Click on the booking tab of this website or call us on 0800 46 22 48 to make a booking. You can also drop in to our shop on 37 Shotover Street to make a booking between 7am and 9pm daily. Do I need to prebook the bus? -Although we can take bookings up until the evening before, we highly recommend you prebook a seat on the bus in order to avoid disappointment. I have made a booking online, where do I pick up my tickets? -Please come in to the Info & Snow shop, 37 Shotover Street, before 7pm the day prior to your day on the slopes to pickup your lift passes and equipment/lesson tickets/clothing, if necessary. Where will the bus pick me up from? -The default pickup location is from outside the Info & Snow shop, 37 Shotover Street. We also offer accommodation pickups from 21 other locations around Queenstown, for no additional charge. See our map and timetable for details. What happens if I miss the bus? -We request that you be ready and waiting at your designated pickup location at least 10 minutes prior to the departure time so that the bus can leave on time. If you think you might be late please call us on 0800 46 22 48 (this number will also be printed on your ticket) as soon as possible. If you miss your bus completely you will not be entitled to a refund – refer to our cancellation policy for more details. Please make sure you are on time for your bus back from the mountain or call to let us know if you do not plan on returning with us. Your safety is a priority, so if you do not show up the driver will have to inform the mountain that you are missing, which could result in expensive fines if Search & Rescue have to be called. What happens if the mountain is on hold or closed? -If the mountain is On Hold you will be given two options: get on the bus as normal in the hope that the mountain will open, or be refunded for your transport and/or package. If you choose the first option and the mountain does not open you will not be refunded for your transport (or the transport portion of your package). If the mountain resort closes the resort due to weather or otherwise, you will be entitled to a full refund. What do I need for a day on the snow? Our packages are designed to offer you everything you need for a day on the slopes: - Transport from your accommodation to the mountain resort - Lift passes - Lessons - Equipment i.e. skis, boots & poles/snowboard &boots - Ski clothing i.e. jacket, saloupettes, gloves, goggles Simply decide what you need and pick the package that suits. How do I know which package to choose? -Firstly, decide whether you want to ski or snowboard. Then decide where you want to go – Info & Snow offer packages for four very different resorts with something to suit everyone. Do you need lessons? Have you skied or boarded before? If you have spent at least one day on the slopes before, chances are you won’t be a beginner. Beginner lessons cover the very basics – stepping in to your bindings, stopping and starting, changing direction. You may feel inexperienced or a bit rusty, but if you are able to do these simple things you will get much more out of an Achievement lesson. There are many levels of Achievement lesson, from second-timers through to mastering double black runs. If in doubt, talk to our staff or the staff at your mountain resort regarding the best level for your ability. Do you have your own equipment? If not, make sure to add this on to your package. All lesson packages include equipment from the mountain resort. Do you have suitable clothing? See the next question for details of recommended clothing for a day on the slopes. What clothing do I need? - Regardless of your ability, chances are you’ll come in to contact with the snow at some point. A water- and wind-resistant jacket and pants will keep you dry and warm. - Even on sunny days we recommend wearing thermal layers that you can put on or take off to regulate your body temperature as the weather changes. - Gloves are essential and sunglasses or goggles highly recommended for preventing snow blindness. - A helmet will keep you safe and protect you from head injuries including concussion, which can occur even on powder days. - Single layer sports socks which reach up to your lower calf will be the most comfortable in ski or snowboard boots. Info & Snow has a range of great value jackets, pants, goggles, gloves and helmets to rent, as well as socks, hats and scarves to buy. See our Rental page for more information. What level of equipment is included in the packages? 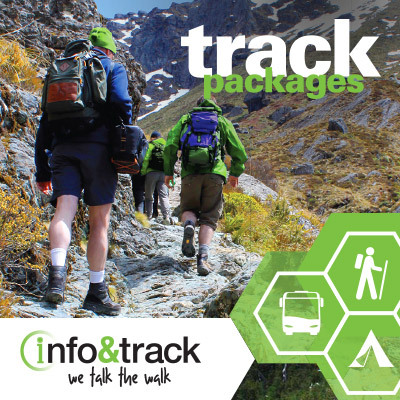 -All packages include standard grade equipment that is suitable for the majority of visitors. However if you would like to upgrade your equipment please let us know when booking a package – additional costs apply. What is a Beginner Package? 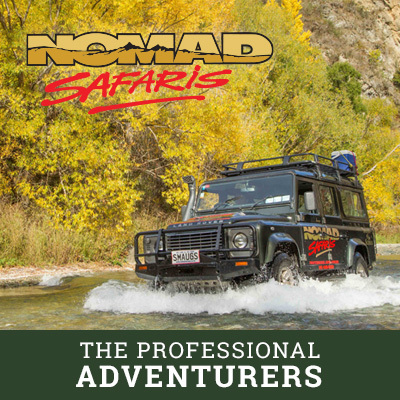 -Beginner packages are designed for first timers and include 4 hours of lessons; the ideal way to get you up to speed. Instruction will cover the very basics, including clipping in to your bindings, balance, starting/stopping and basic turning. You will be limited to the learner area on your first day – two or three day packages allow you to ride the chairlifts on Days Two and Three. -What is a Single Lesson Package? Lesson packages are designed for those who have skied or boarded at least once before. You will be put in the appropriate lesson group for your level of ability, whether you are a second-timer in need of a refresher, or an experienced rider looking to hone your skills. There are also lesson options for freeski and freestyle (terrain park). Lessons are two hours long and give you access to all chairlifts on the mountain. I am not interested in skiing or snowboarding but want to experience the snow, what is there for me to do? -Snow Farm is an excellent resort offering a range of activities for non-skiers. Why not try tubing, sledding or snow-shoeing? These do not need to be pre-booked and can be organised at the resort. How do I add on clothing to my package? -Once you have clicked the Book Now button next to the package you wish to buy, you will be given the option to add on any two items of clothing for just $25 per person, per day. Choose from: jacket, pants (or saloupettes), gloves, goggles or a helmet. You can add on additional items in-store. Can I decide if I want to ski or snowboard on the day? -Yes, you can decide at the rental shop. If you have booked a Flexi Package you will need to decide the day before as equipment is fitted in advance. If you have booked a package with lessons then equipment is organised up the mountain in the morning. Please note that for multi day packages you cannot switch between skiing and snowboarding once equipment has been organised. -Where can I buy food up the mountain? Cardrona has an excellent selection of cafes to choose from including a pizza restaurant and noodle bar. My children are too young to ski, what facilities are there for childcare? 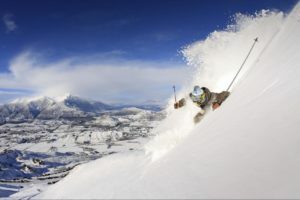 -Cardrona offers a nursery from $86 per day or a ski school for children aged 3 years and over from $133 per day (2013 prices). Bookings are essential and must be made direct with the resort. What time does the mountain open and close? -The chairlifts at Cardrona operate from 9am – 4pm. Our buses depart at 7.30am, arriving at 8.45am. All services depart the mountain at 4.15pm sharp on the return journey. How long does it take to get to Cardrona? -The drive to Cardrona takes approximately 75 minutes by bus, however this is dependent on the road and weather conditions. If heavy snowfall requires the driver to fit snow chains then travel time may be longer. Can I store my bags anywhere on the mountain? -If you have booked a multi-day Cardrona lesson package, overnight storage up the mountain is complimentary. Secure bag storage is also available for $8 per day. What time does the mountain open and close? -The chairlifts at Treble Cone run from 9am – 4pm. Our buses depart Queenstown at 7.30am arriving at 9am. The bus departs the mountain at 4.15pm sharp on the return journey. I’ve heard Treble Cone is really steep, is it ok for beginner/intermediate riders? 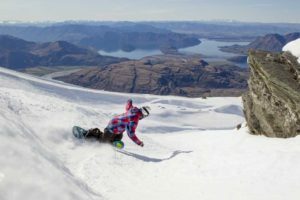 -Although Treble Cone is renowned for being steep, there are a number of green and blue runs to suit novice riders. They are a little steeper than other resorts in the area but you will get a kick out of challenging yourself. How long does it take to get to Treble Cone? -The drive to Treble Cone takes approximately 90 minutes by bus, however this is dependent on the road and weather conditions. If heavy snowfall requires the driver to fit snow chains then travel time may be longer. Can I store my bags anywhere on the mountain? -A secure storage facility is located in rentals in the base lodge building (a small fee applies). Equipment can be stored overnight or for consecutive days. Where can I buy food up the mountain? -The Remarkables has three cafes and restaurants in the new base building along with the renowned Ice Bar situated on the mountain at the Curvey Basin Junction. My children are too young to ski, what facilities are there for childcare? -Unfortunately The Remarkables does not have early learning facilities. If you need childcare for kids under 5 years Coronet Peak or Cardrona are a better option with programs for kids aged 3 months to 5 years. Bookings are essential and must be made direct with the resort. What time does the mountain open and close? -The chairlifts at Remarkables operate from 9am – 4pm. Our buses depart from downtown Queenstown at 8.15am, arriving at 8.55am. All services depart the mountain at 4.15pm sharp on the return journey. How long does it take to get to Remarkables? -The drive to Remarkables takes approximately 40 minutes by bus, however this is dependent on the road and weather conditions. If heavy snowfall requires the driver to fit snow chains then travel time may be longer. What time and how long are the lessons? -Lessons start at 10:20am and 2 pm and each lesson is two hours in duration. Can I store my bags anywhere on the mountain? -There are Lockers Available for $10 per day. You can leave belongings on the bus however the bus may not be within reach at all times of the day. Please check with the driver on the day. -What if I want to leave early? We only have one departure at 4.15pm. The NZ ski Shuttle bus does depart when full from 1.30pm this is an additional Cost of $15 per person payable direct on the mountain. If you decide to leave early you MUST contact our staff as the driver will be expecting you at the end of the day. Where can I buy food up the mountain? -Croronet Peak has three oulets in the base building and a restaurant, Heidi’ Hut, at Rocky Gully. My children are too young to ski, what facilities are there for childcare? -Coronet Peak caters for children aged from three months to five years of age. Skiwiland early learning centre is a fully licensed registered Early Learning Centre with the NZ Ministry of Education. What time does the mountain open and close? 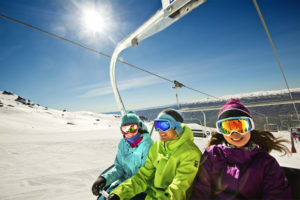 -The chairlifts at Coronet Peak operate from 9am – 4pm for general use. Our buses depart downtown Queenstown at 8.30am, arriving at 8.55am. All services depart the mountain at 4.15pm sharp on the return journey. How long does it take to get to Coronet Peak? -The drive to Cardrona takes approximately 25 minutes by bus, however this is dependent on the road and weather conditions. If heavy snowfall requires the driver to fit snow chains then travel time may be longer. What time are the lessons? -Lessons start at 10:20am and 2 pm and each lesson is two hours in duration. What if I want to leave early? -We only have one departure at 4.15pm. The NZ ski Shuttle bus does depart when full from 1.30pm this is an additional Cost of $15 per person payable direct on the mountain. If you decide to leave early you MUST contact our staff as the driver will be expecting you at the end of the day.